Finishing up the instrument at this point. Tape around the neck so varnish doesn’t get on it. 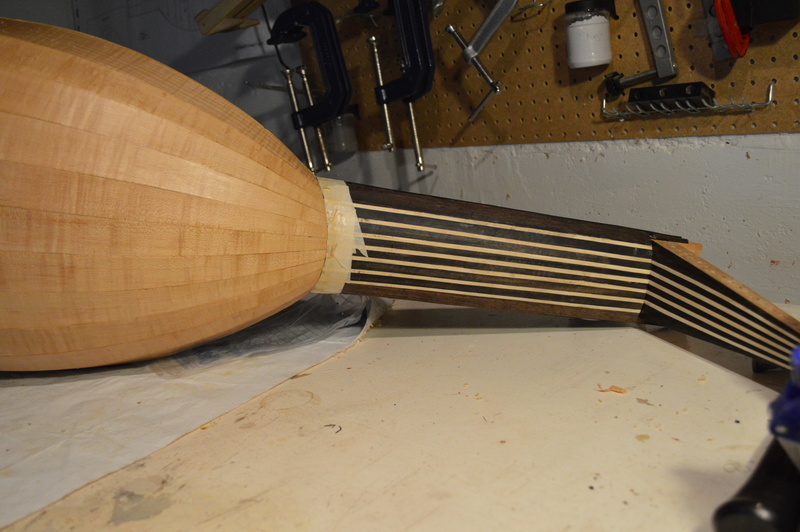 Holly and ebony wood for the black and white stripes.